THE Gigira Laitepo-backed Central Coast FC and Bulolo FC will make their debut in the Telikom National Soccer League (NSL) competition this season. Central Coast and Bulolo join Hekari United FC, Eastern Star FC, Petro Souths FC, Besta United and Tukoko University to make up the seven-team semi-professional competition. The NSL management and PNGFA president David Chung in a combined meeting last Friday announced the team for this year’s NSL competition. Franchise owner Libe Parindali who held the first meeting with Koupa Soccer Association president Morea Vavine and his other committee members on Saturday wants his team to be a force to reckoned with. 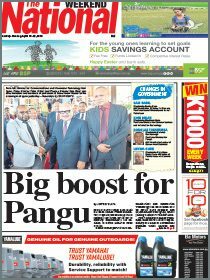 As a founding sponsor of NSL, Parindali outlined his plans for Central Coast which include players of Central origin in the club Koupa in the Port Moresby and NCD Public Servants Soccer Association. An interim committee will work towards the competition date of Oct 15 when the competition is expected to begin. Vavine said KSA will hold several trials in Hula and Rigo areas to select players to compete for spots in the Central Coast franchise. Mungkas coach in Port Moresby soccer competition Lua Vagi has put up his hands for the coaching job for the team. He urged KSA executive to grab the opportunity with both hands, as there was no other sponsor that would easily come and put the money to support soccer in Central province. “The NSL competition is a totally different competition, and KSA should recruit players from the area like Tau Winnie, Ila Ilaitia Jr, Kila Leana and Kepi Naime in their team,” he said. 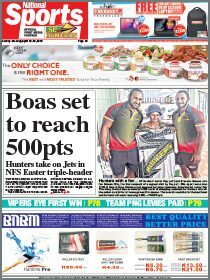 With only two teams, Hekari and Eastern Star, from Port Moresby, many players would be fighting for a spot in Central Coast, and the new franchise could pick a competitive team. In the National Women’s Soccer League, all teams expressing their interest have until end of this month to pay the K2,000 nomination fee. NWSL coordinator Simon Koima said the Port Moresby conference had attracted interest from Wantoks, Maxpro PNGIPA, Bizprinz, Mungkas and Inter University while in Lae, defending champions Bara, Poro, Wau and PNG Power have expressed their interest.